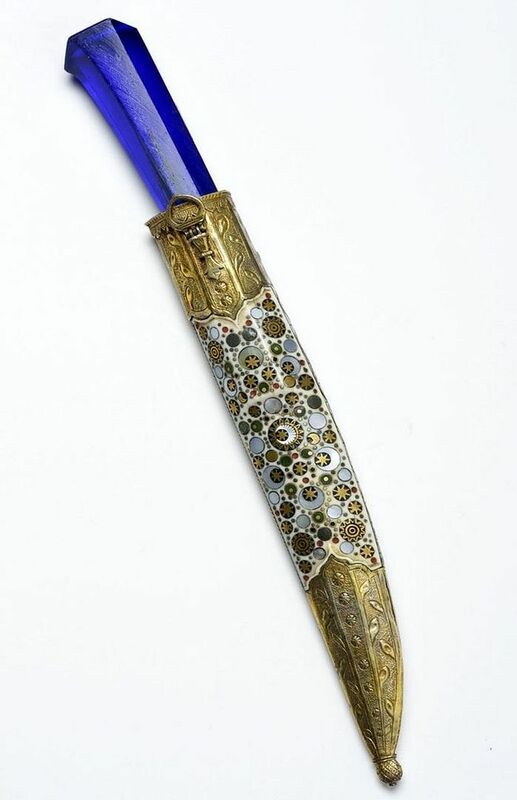 The blade is made of watered steel decorated with three embedded coral beads and the inscription "The time of the reign of Sultan Malik Zahir". On the reverse of the blade reads, "Fly high, bird of distress and revenge, your rigor and fairness affirm human fate". The knife has a square tapered handle of blue glass. 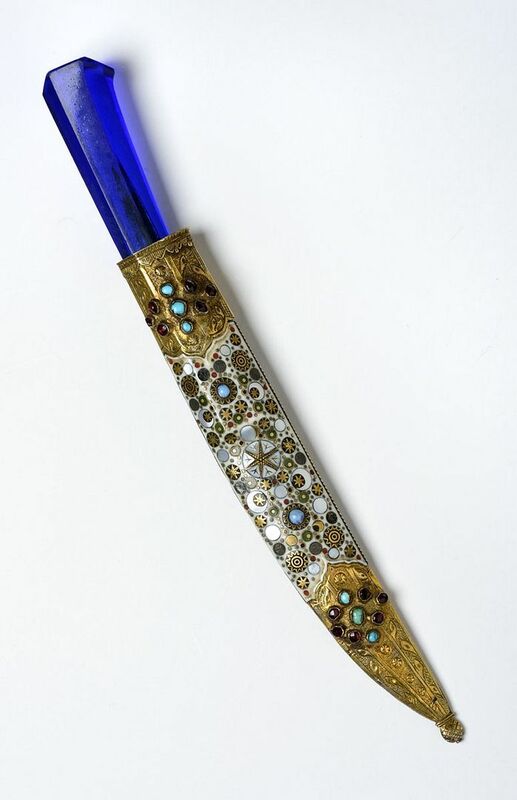 The ivory scabbard is richly inlaid with mother of pearl, brass and stones, representing the heavens, with gilt silver fittings with garnets and turquoise.